Let’s talk char. 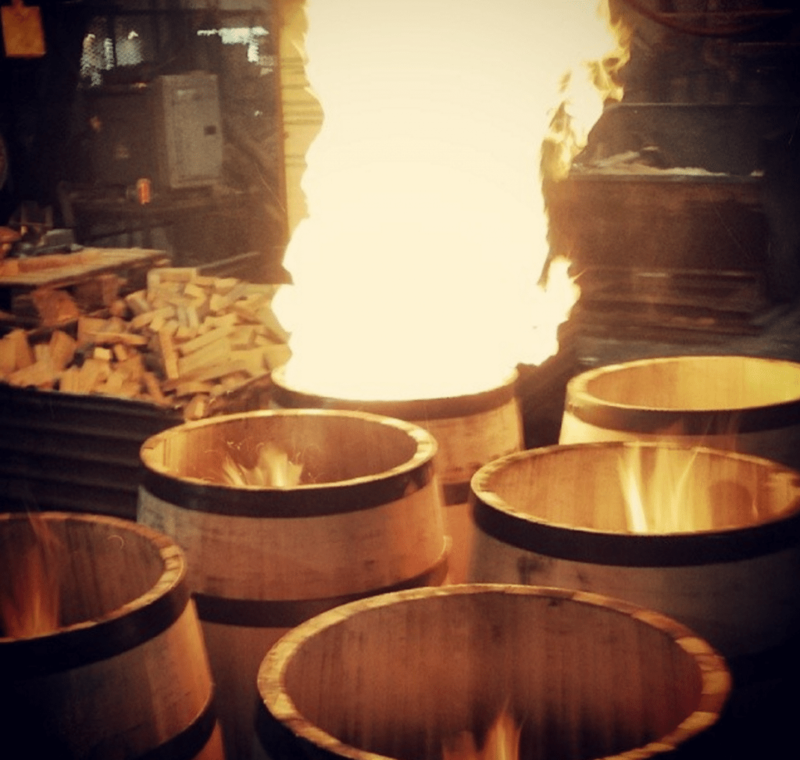 After all, aging in a charred oak barrel is one of the legal requirements for bourbon. So why do we do it? People have suggested that the inside of barrels were originally burnt to remove the leftover flavors of goods previously stored within, which sounds reasonable enough. There’s also some evidence that the practice goes back as far as the 15th century amongst French cognac distillers, but no one really knows how the practice began. Because we only use new barrels, (and nobody really stores fish or hog parts in them these days) we don’t have to worry about scorching previous flavors out of our casks. So why do barrel coopers still char the interior? You might reasonably think that it could add a natural smokiness to the bourbon, but that’s not the case at all. Charring the wood actually primes the wood, which impacts the spirit’s flavor in several important ways that have nothing to do with smokiness. First off, charring essentially opens the wood up, making it easier for bourbon to extract flavors. It also catalyzes key chemical changes that are essential to bourbon. Ever tasted vanilla? That’s because lignin, the source of vanillin (vanilla), produces a higher level of flavor the longer a barrel is charred. Likewise, toffee and caramel notes come from hemicellulose, which breaks down into wood sugars in the presence of intense heat. 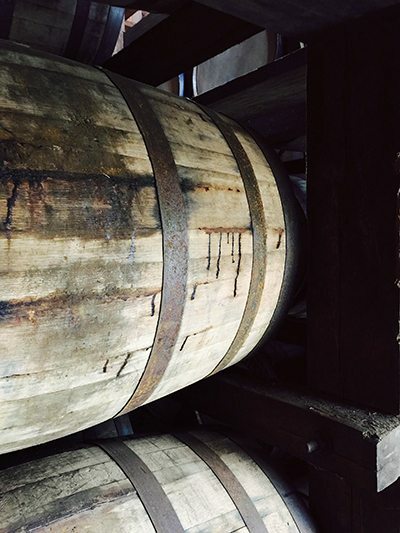 The resting bourbon absorbs these sugars from the barrel interior’s caramelized surface as it ages. The results are usually delicious. A higher level of char has other effects as well. Higher charred barrels allow less interaction between the wood’s tannins and the spirit. Lactones, which are the compounds responsible for coconut and woody notes in a bourbon, are similarly lessened as the char increases. Higher chars generally result in a darker color as well. With our mash bill, Lincoln Henderson decided that a level 3 char would be ideal, and we’ve never looked back.